This ski boot was Built For Comfort. The new B.F.C. lets you slide in and out of a wider, roomy last without even using your hands. K2’s brand-new B.F.C. incorporates the long-lasting on-hill performance of our Energy Interlock tech with a convenient Après Mode walk feature so the good times follow you off the hill. Supportive flex profile and design for a natural stance when standing and natural stride when walking. 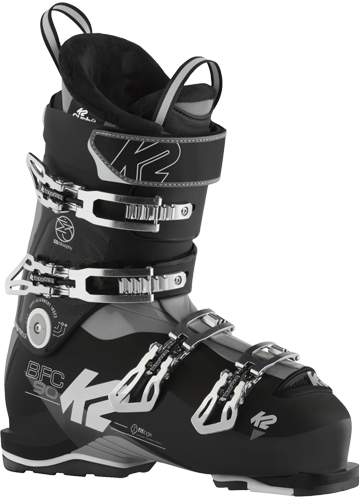 New removable and interchangeable ISO 9523 alpine rockered soles for K2's BFC boots collaboratively designed to work with Marker's Grip Walk binding. Celebrating Years in Business Serving Our Valued Customers! First Chair Rental Shop is a skier owned ski/snowboarding rental shop with over years of experience in the skiing industry. Our number one goal is to make your rental experience the fastest and most enjoyable part of your winter adventure. We’ve all grown up at the Arizona Snowbowl Ski Resort in Flagstaff Arizona for the past 3 decades, most of us have worked the slopes! All our staff members are Marker ski binding certified and inclide other certifications include: Atomic, Salomon, Rossignol, Look, and Knee. First Chair purchases only NEW inventory! Each year directly from the manufacturer. WE NEVER BUY FROM A GEAR SWAP or OTHER USED RESORT STOCK. Because of this we can provide the latest and well-maintained ski & snowboard gear on the mountain. First Chair is the point of departure for the Arizona Snowbowl Ski Resort located on the majestic San Francisco Peaks at 9,500 ft. above sea level. We are convienantly located on the way to the slopes and we're proud to be one of the best rental shops in Flagstaff and can facilitate all your outfitting needs. Try the new - Burton Snowboards before you purchase your next new board, perfect for intermediate to advanced riders! Ask about our First Chair Rentals Demo Program and apply your demo rental to the purchase of any board you might want to buy! 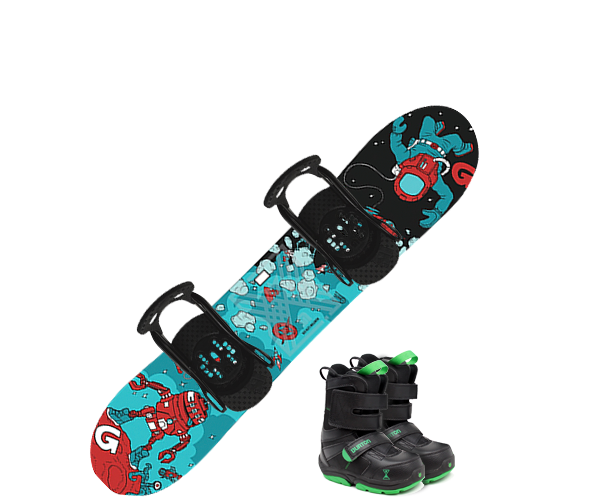 Package includes a Burton snowboard of your choice, bindings and snowboard boots. We have a wide variety of Snowboard rentals ready for your next winter adventure! All of our rental packages include professionally tuned and maintained shaped snowboards. We take time to ensure that each snowboard rental package is properly fit and adjusted to each rider's characteristics. Targeted for intermediate riders, the Burton Radius is a great all-mountain board suitable for all riders. 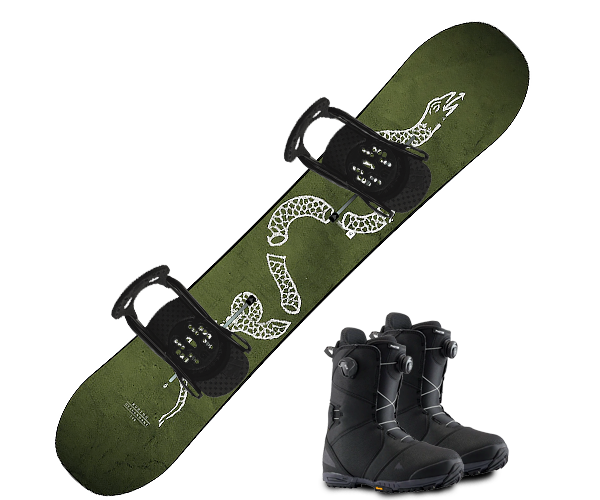 Packages include the Burton Radius snowboard, Burton binding & Burton BOA boots. 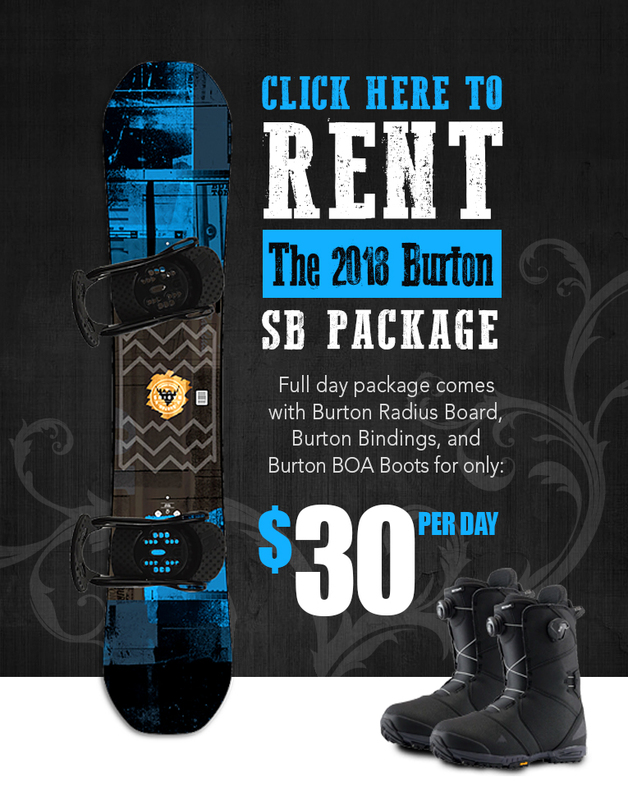 Try before your buy your next Burton board and apply your demo rental to the purchase of any board! 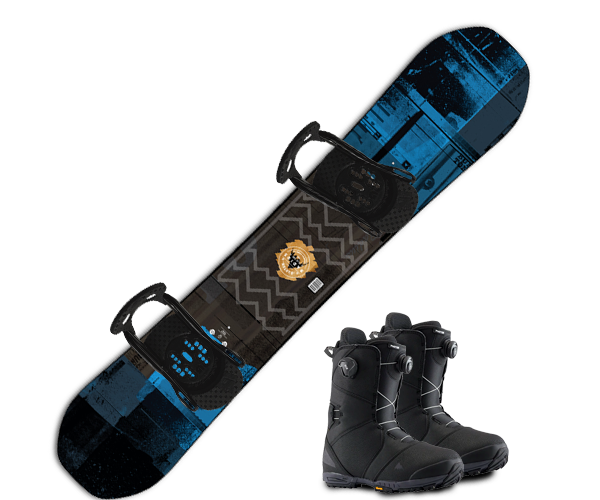 Package includes a Burton snowboard of your choice, bindings and snowboard boots. Burton Kids Learn-To-Ride (LTR) provides beginners with gear designed to enhance their experience and our equipment is tailored by gender and age to maximize each individual's learning potential. Don't waste money on a new set of skis until you've tried them on the slopes! 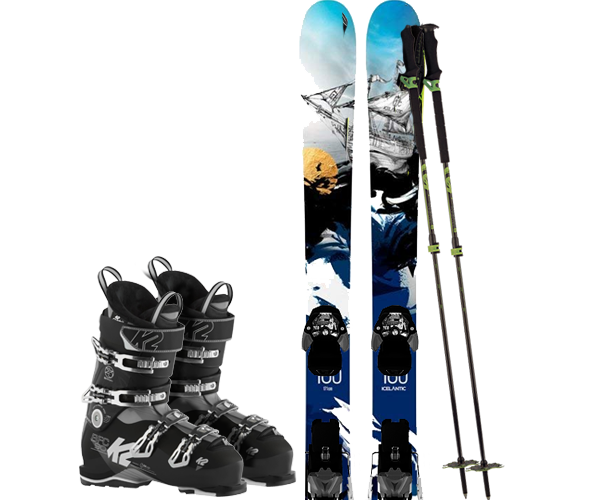 We have the new - demo skis in stock ready to rent. Our top-of-the-line gear for this ski season includes K2, Atomic and Icelantic, they can handle all types of snow conditions. If you're an intermediate, advanced or expert skier, look no further, demo skis will give you the best ride on the mountain. We have Skis to outfit the entire family. From expert skiers to low intermediate skiers looking to progress their skills. First Chair Rentals is proud to offer a wide variety of rental ski packages and individual gear for all your ski rental needs. Read about our rental ski packages and models we offer below. Our K2 Strike AMP skis are great for the advanced skier as well as the beginner. 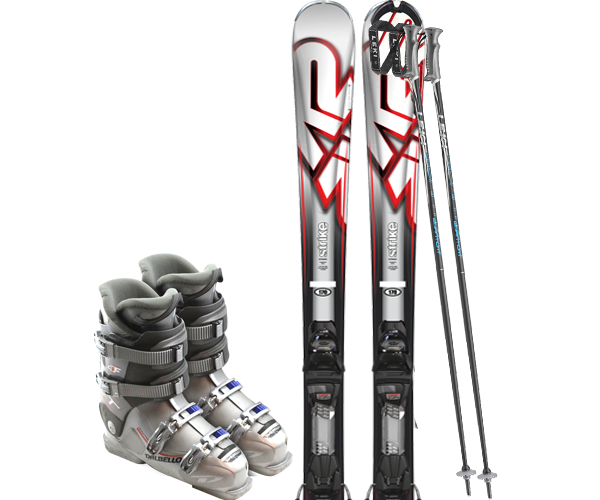 Package includes K2 Strike AMP skis, boots and poles. 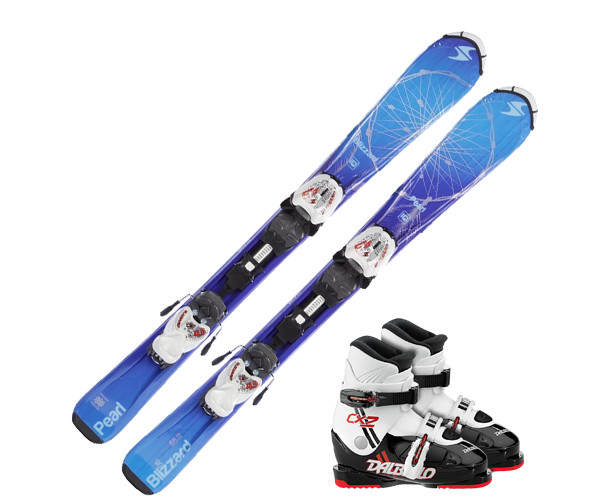 We have Skis to outfit the intire family including kids! Our comfortable kids beginner package includes skis, boot (size C8 and up) & poles. We will reply ASAP to answer your questions. IMPORTANT: Please note that sending an email does not reserve your gear, we look forward to helping all our customers on a first-come-first-serve basis.